There's nothing quite a like a quality beer, and if you enjoy your brews, then you may want to take it a step further. Instead of trusting others to do the brewing for you, why not learn to make your own beer? You'll find that you can often optimize the flavor and alcohol content to your liking when you decide to create a brew. 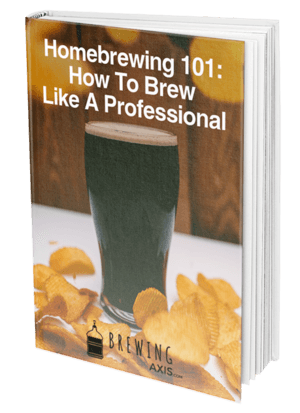 For those of you looking to get into homebrewing, you’ll find that you have a few options at your disposal; namely, the choice between extract brewing and grain brewing. If you’re just getting started as a homebrewer, you’re going to want to stick with a pre-hopped extract that will make the job much simpler. However, if you know what you’re doing, grain brewing will allow you to optimize your brews even further, allowing you to influence qualities like the bitterness and more. 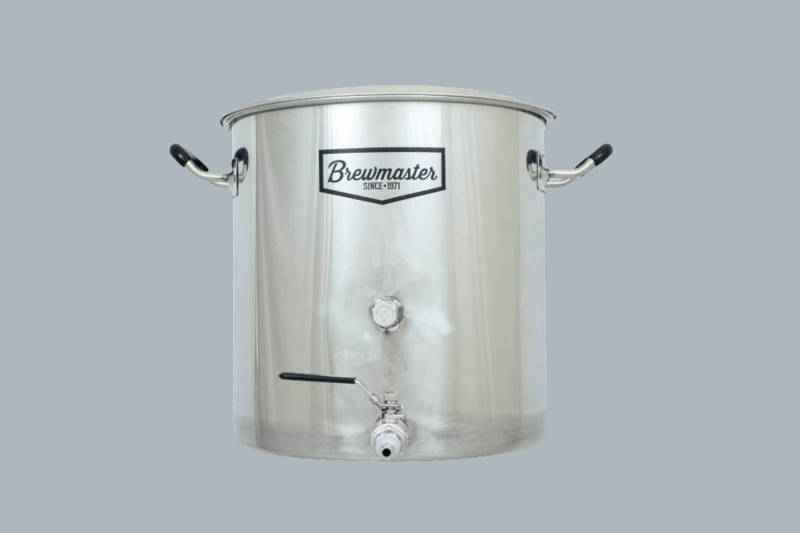 One of the most crucial pieces of brewing equipment for grain brewers is a brew kettle, which will allow you to boil your wort. Today, we’re going to review an excellent brew kettle from AIH: the 8.5-Gallon Brewmaster Stainless Steel Brew Kettle. However, before we get to our review, we’re going to address two characteristics that you’ll want to look for in the best brew kettle. One of the more critical characteristics you'll want to consider before you pick up your next brew kettle is how the bottom of the pot is designed. Models that feature a single-ply bottom will often have problems with scorching and sticking, especially if you decide to brew with grain instead of extract. On the other hand, a pot that features a tri-ply bottom will be able to distribute and diffuse the heat more effectively, so it will be much less likely that you have to deal with scorching. At the least, scorching can make your pot annoying to clean, but in worse scenarios, it can damage the structural integrity. And while we're on the subject of the pot's integrity, let's discuss how important it is for your new brew pot to be relatively durable. You'll find that more resilient kettles will be able to put up with more use over their lifespan as they will be made of superior materials that will be less likely to fail on you. While you may not have an issue with a pot outright failing, they get far less effective over time, especially as the bottom starts to get worn out. With more wear and tear, you'll notice that the bottom provides less even heating over time, which will warm your wort unevenly in addition to causing scorching. AIH makes a wide range of products that will make homebrewing a simpler process, and they tend to sell products which offer excellent value for money. 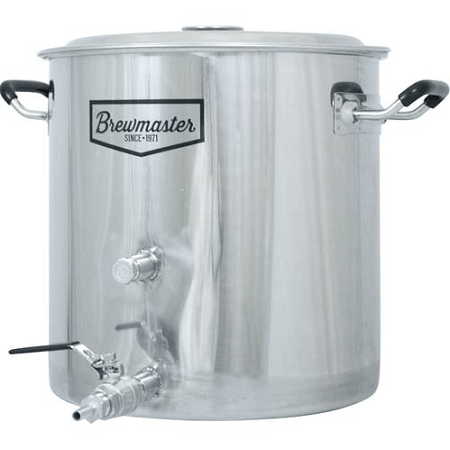 You certainly get quite a bit for your dollar when you purchase this 8.5-Gallon Brewmaster kettle, so let’s take a closer look at what you can expect. While this may be one of the more affordable brew kettles out there, you may be surprised to find that it doesn’t suffer from any glaring issues, like much of the competition in this price range. For example, this stainless steel kettle is much more durable than cheaper models made of aluminum. 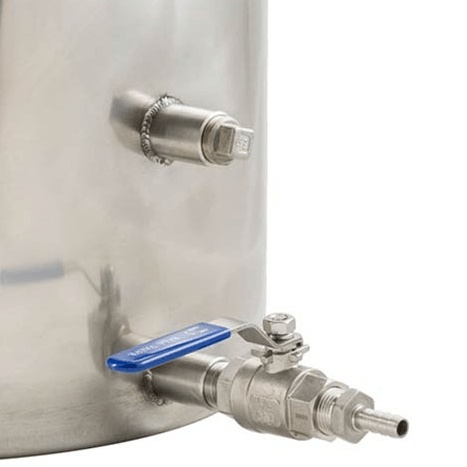 Another benefit to stainless steel is that you’ll be able to boil acidic wort without having to worry about your pot being compromised in some way. 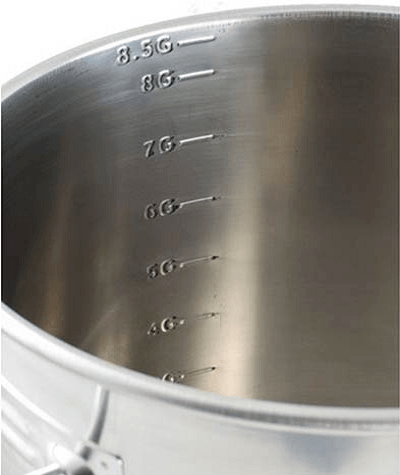 With a capacity of 8.5 gallons, you’ll find that this pot is ideal for batches around 5 gallons or more, as it’ll be less likely that you have to deal with a boil over. Even though this kettle doesn’t come included with a thermometer, it comes equipped with two welded couplets that can support attachments of your own. Despite this model’s price, you’ll also find that it comes equipped with a high-quality ball valve that’s reliable enough to last. Finally, this pot also comes with a few quality of life features that make it easier to use. For example, the silicone handles on this pot ensure that you won’t burn your hands picking it up. There are also marks along the inside of this pot so you can keep track of your wort volume visually. We also went through customer reviews about this product so that we can present you with an idea of how the pot will perform when you bring it home. Starting off with the good, most buyers commented on the exceptional value of this brew kettle, as it is available for a lower price than you’d expect by looking at its build quality. Others were impressed by the support for both external and internal attachments, which isn’t very common in more affordable pots. Unfortunately, this kettle is not without its issues. Some buyers were disappointed by the lack of an included thermometer while others lamented the lack of a clad bottom. Others mentioned the relatively thin sides of this pot and stated that it couldn't put up with much abuse. As we’ve already mentioned, this is one of the better budget brew kettles on the market because of its reliability and relatively impressive build quality. You can typically find this model available for around 90 dollars, which is anywhere from 30 to 70 dollars cheaper than most other competing pots. If you’re looking to save a bit of money, this 8.5-gallon pot from AIH is one of the best options out there. Thank you for taking the time to read through our review and feel free to leave us a comment down below if this guide helped you out or if you have any questions about this product.